Will market disruption make room blocks the next casualty? At a recent PCMA East Canada workshop in Ottawa, meeting professionals and business event suppliers came together to discuss room blocks. Consensus among the hotel sales representatives was that it is business as usual – if clients want the use of meeting space, they will be held to specific room blocks. These blocks will continue to be contracted with attrition clauses that mandate room and food & beverage revenue. Group business is the hotel’s base that revenue managers rely on. In today’s high demand market, suppliers have the advantage with preferred space offered to planners that have a balanced meeting room and room block ratio. However, with these tight contracting conditions, meeting planners are struggling to manage their room blocks in a competitive environment that offers attendees many options outside of the block. A 2015 study by Tourism Economics showed 34 per cent of group room nights in the U.S. are booked outside of events’ contracted room blocks. The percentage of rooms booked outside of the meeting blocks differs by several factors, including type, size and length of the event. The percentage of rooms booked outside of the block rises to 45 per cent for citywide conventions. In general, the larger the event, the higher percentage of room nights booked outside of the block. Why? During 2016, eight of the top 25 markets in the U.S. realized transient average daily rates that were lower than group Average Daily Rates (ADRs). New York topped the list with transient rates on average $21 lower than group rates. In these cases, savvy attendees can check rates and cancel their rooms in the block and rebook at lower rates directly or through third-party distribution channels. With easy access to online search engines, booking hotels or alternative accommodations is easy and convenient. Room blocks are further at risk when we add to the mix Airbnb offerings that can cater to a variety of housing options–from shared space to use of entire apartments or houses. Meeting planners in the workshop mentioned issues with actually managing the discounted group rates. With the advent of various coupon code search functions, non-event participants can search and use discounted room block codes without detection. Also, hotels often contract specific room types so attendees may book outside of the block to choose their desire room type. Savvy planners will ask the hotel to cross reference either unknown participants or additional bookings and ensure their contract takes into consideration all rooms booked at the hotel–no matter the room rate or room type. 85 per cent of millennials check multiple sites before booking their travel to get the best deal possible. 46 per cent book travel through a smartphone or tablet. If the group block is not price competitive and unavailable via technology, it may be overlooked. Hotels are increasingly asking for longer cut-off times–closing room blocks 30 days out from arrivals. However, attendees do not want to confirm schedules in advance. 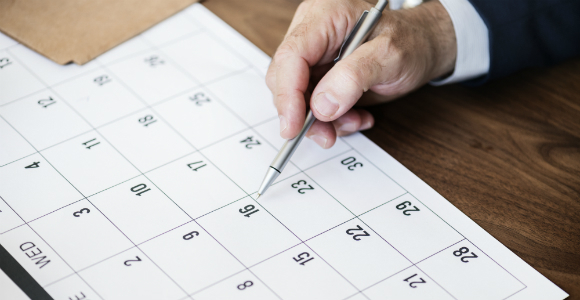 Hotels give this time for the rooms to be sold if not filled, but as many hotels still offer day-of cancellation, participants book rooms knowing that they can cancel or change their reservations much closer to the event date. In some cases, the person booking for the company will secure a block of rooms under one name just to hold the rooms until the company or participants decide who, how many and when they will send their participants. Then, they cancel any unused rooms closer to the event dates. Several planners mentioned in the PCMA workshop that they had full blocks at cut-off time, but then lost several rooms in between the cut-off and event dates. Technology providers are working to help meeting planners devise a plan to adapt to these conditions. To assist Room Block Management, Residia provides a platform for easy room block management with the option for making revenue through advertisement sales. Should a group not want to commit to room night blocks, but still receive accurate statistics on their attendees and to gain revenue via commission sharing, then Stay22 may be a good option. It pulls the best rates from all booking channels and can be customized for each event. Are revenue models built on a false premise? What about the notion expressed by hotel sales managers that planners still need hotels for meeting space? As a planner, I have heard from more than one client say “anywhere but a ballroom”. Meeting planners and clients are looking for unique spaces that create experiences and that FOMO event. Event organizers are open to using off-site venues and boutique, non-meeting hotels. Transportation is now accessible with the advent of Uber and new Uber Group options. Finding and booking unique venues has also become easier with the growth of Cvent and various on-line search and booking systems: thisopenspace.com, breather.com, eventup.com and many more. 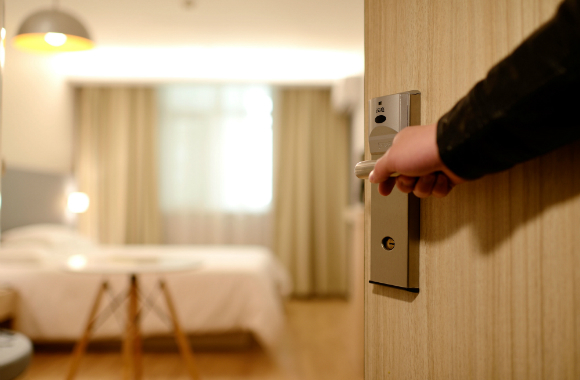 In short, room blocks are not dead, but do need to be managed properly when hotel space is required or when occupancy levels are expected to be high. Room blocks may need an inoculation for certain meetings so that it stays a healthy part of the meeting plan. The best approach for any planner is to analyse their history, pickup and look for patterns to make the best diagnosis. For those that need and want to innovate with new spaces or see patterns emerging that are leading to a series of room block issues, a new approach or a mix of solutions may be needed. Anita Carlyle is a Managing Partner at Moore Carlyle Consulting & MCC Destination Management. This entry was posted in Corporate Travel & Incentives, Event Operations, Meeting Venue Overview, Site Selection, Travel Tips & News and tagged AirBnB, Anita Carlyle, availability, business event suppliers, convention, demographics, economic, group block, hotel, hotels, market disruption, meeting planners, meeting professionals, new product offerings, PCMA East Canada, platform, price, room block management, room blocks, technology, Uber.